Clearly displays any color dry erase ink. 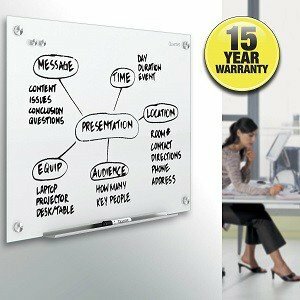 Includes one Quartet® dry-erase marker and two rare-earth, high power magnets. 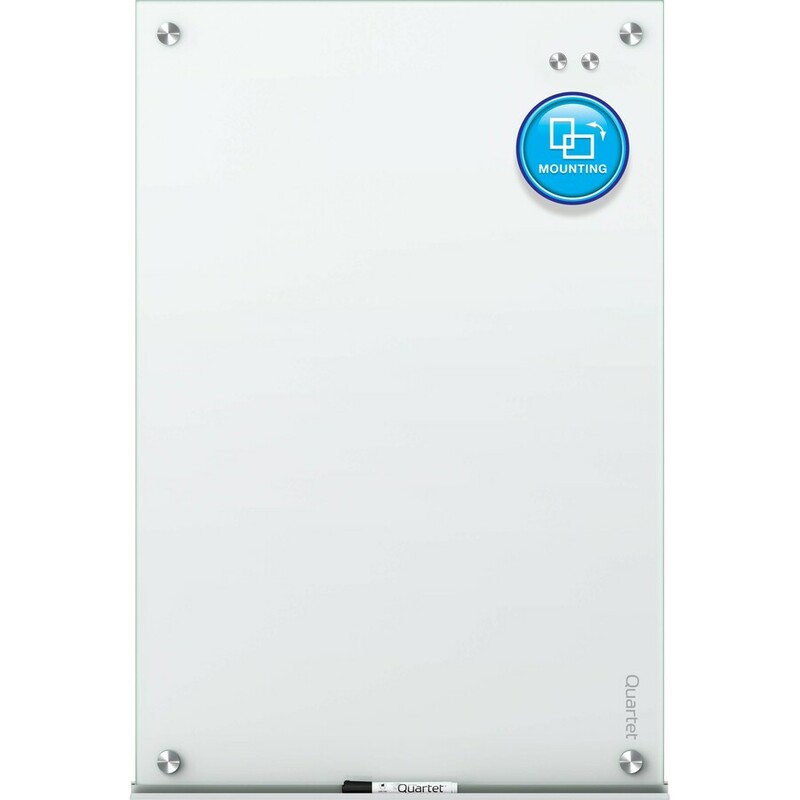 Ultra-modern, tempered glass surface of the board provides high quality of execution. And durable, and magnetic with a smooth platform for writing and displaying, which is erased cleanly after each use to prevent halos and staining. Write with any dry-erase marker and hang notes using rare earth magnets. Less porous and absorbent than standard boards, this board will retain its impressive appearance for many years, even with frequent use. This skeleton board is suitable for any modern office. The equipment is supplied for simple and reliable wall mounting. For better performance, special cleaning is recommended. This high-performance board for dry erasing is a marriage of great value and exquisite appearance. It's easy to write, easy to erase - and there is no halo! This high-performance board for dry erasing is a marriage of great value and exquisite appearance. It's easy to write, easy to wash - and there is no halo! The surface of the tempered glass is painted white, so it looks and functions like a dry eraser, but less porous and absorbent than standard boards, and retains its impressive appearance for many years even with frequent use. 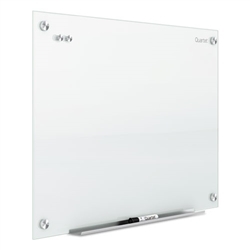 The infinite magnetic glass board works for you in two ways: as a presentation panel for use with dry erasing or wet eras and as a magnetic board, which allows you to securely suspend papers from its surface. 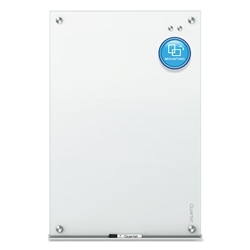 The equipment is included for simple and reliable vertical or horizontal wall mounting, and an adjustable marker tray makes it easy to place markers and erasers. For best performance, cleaning with a marker board is recommended, and a 15-year warranty - Strong durability. The actual glassboard itself is amazing with the surface being a solid white so that markers show up on it really well. Its also easy to erase things without ghosting. The tray that came with it fit under without any problem.